It’s so nice to meet you – Eppie is just gorgeous! I hope she saves some kisses for us! How very thoughtful you are. Thank you for stopping by our place! 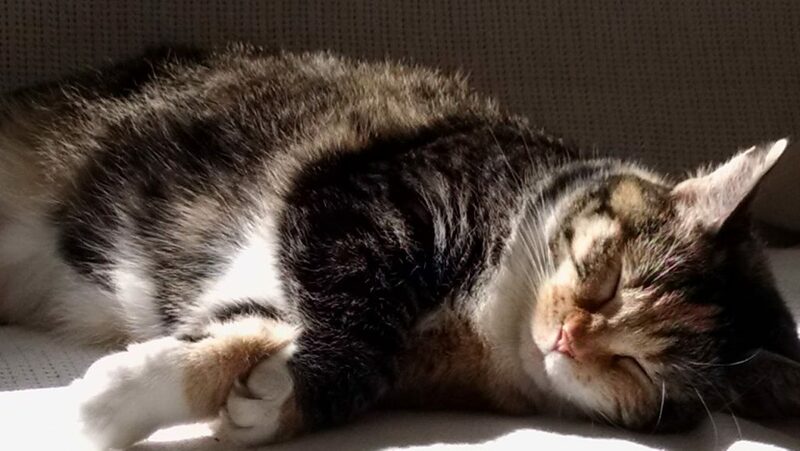 There’s nothing quite like a Springtime nap in the sun! Sweet dreams! She is but mostly she’s sweet. Guess that’s just the proud mama talking! Hi Sharon & kitties! I would love to cuddle up with Eppie. She is super cute. Wink wink! Thanks! Bet she’d like that too. She’s a super cuddler and I bet you are!